GEO Jobe is happy to partner with security.manager by con terra to bring security solutions for ArcGIS to the states. 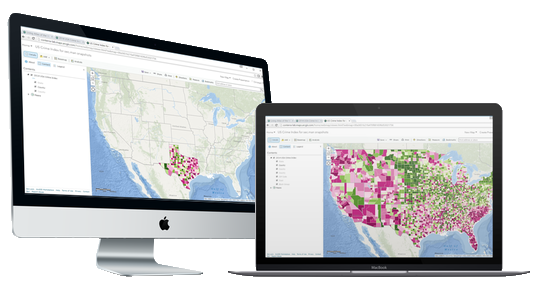 con terra has significantly expanded both the ArcGIS Edition and the Enterprise Edition with protection of sensitive attribute information, protection of ArcGIS Pro Services, optimization of group administration and Web Feature Service (WFS) Stored Queries. Protection of sensitive attributes provides the ability to restrict access to attribute fields. The new version of security.manager – ArcGIS Edition can now authorize individual fields of a layer. This not only suppresses the visibility of the field, but also prevents these fields from being used for queries. The way this works is; the service appears (to an unauthorized user) as if the corresponding field does not exist at all. For example, sensitive data such as sales figures of individual locations of a company are to be protected within a layer, the “sales field” can simply be hidden in the corresponding branch layer for defined users. Protection of ArcGIS Pro offers extended possibilities. The ArcGIS Server Object Interceptor extension, can now secure ArcGIS Pro services, in addition to the services published via ArcMap. See the official PR announcement on our PRlog newswire account.